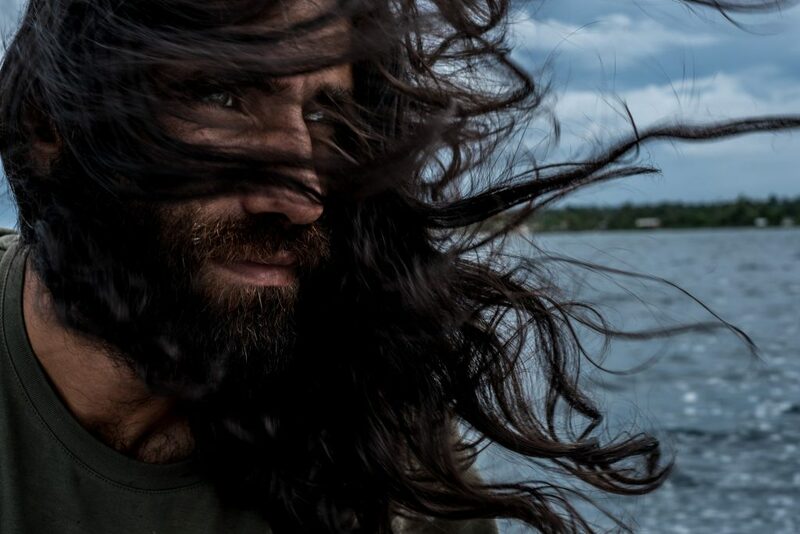 Behrouz Boochani has written his latest book through text messages from a detention camp in the South Pacific – and was awarded Australia’s richest literary accolade for it. In an exclusive interview over phone he condemns the country’s immigration policy. And talks about the power of writing. Over recent years writing has both put a target on Behrouz Boochani’s back and thrown him a lifeline, forced him to flee his home and been his aid in forced detention. In 2013 the 35 year old Kurdish-Iranian poet and journalist stepped onto a boat on the shores of Indonesia: fearing arrest and imprisonment for his writing in Iran, he hoped to apply for asylum in Australia. Instead, he was brought by the Australian government to a detention centre on Manus Island. Over the last six years his prolific journalism and art from Manus has sent a flare up above the barbed wire in the middle of the South Pacific Ocean. It has borne witness to the everyday suffering of thousands of refugees held indefinitely on the Papua New Guinea islands of Manus and Nauru. 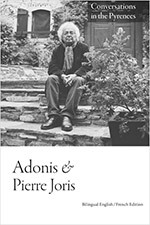 His work has been an invaluable source – not least during periods where journalists struggled to gain access to the centre. 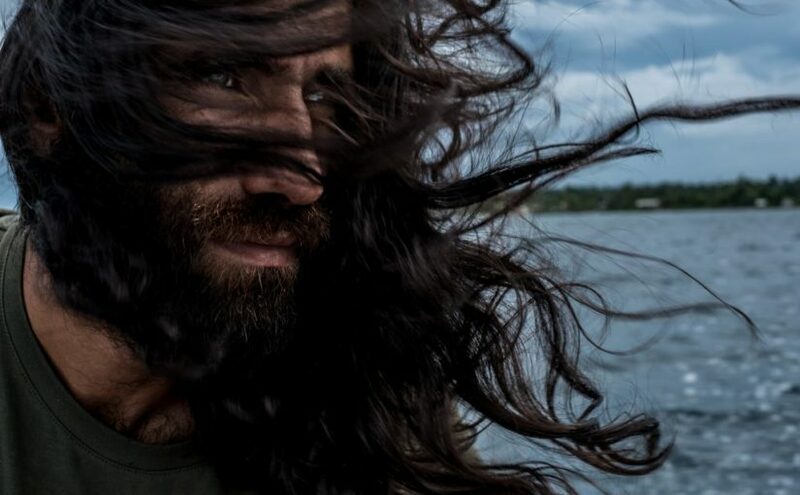 „I believe if the Australian people knew the truth they wouldn’t allow these policies“ – Behrouz Boochani (Photo: Ashley Gilbertson). These experiences have provided the raw material for No Friends But The Mountains, a book written through individual text messages sent from Behrouz’s phone in Farsi, to his translator Omid Tofighian. In February this year the book was awarded Australia’s richest literary accolade – both the non-fiction prize and the Victorian literature prize at Victorian premier’s literary awards. Boochani, still on Manus island and unable to enter the country, delivered his acceptance speech by Skype. Although it’s early evening after a tiring day, Behrouz speaks from Manus over Whatsapp call with a sense of urgency. He talks about the power of writing with a mixture of awe and dread. When it comes to immigration policy and detention, Behrouz is acutely mindful of how far – and often – words fail us: for accountability to disappear into the folds of bureaucratic jargon, for individual suffering to be muffled through generalisations, for journalists to reconfirm the language and logic of systems they seek to critique. His book moves away from journalism and instead combines poetry and prose. It is an attempt not simply to document what he has seen, but to move towards a new language to describe it – and forge new means to challenge it. No Friend But The Mountains was composed through individual text messages. What motivated you to write the book? There is systematic censorship in Australia towards the topic of Manus and Nauru. Sometimes when something happens in Manus prison camp most of the media is silent or if they cover it they manipulate the information. Some might say that Australia is a liberal democracy and a free country but they have established this policy of exiling refugees to these islands on the basis of national security. They think that gives them the right to censor this issue. They’ve kept us here for six years and the history of this prison camp is full of violence and torture. So far 12 people have died and most of them were from medical negligence. I believe if the Australian people knew the truth they wouldn’t allow these policies. I wanted to write a book that would be insightful and a piece of art. I wanted it to be useful for academics and also be a historical document. The book blends many different elements including poetry, prose, Kurdish storytelling, and academic theory – producing a genre your translator Omid defines as „horrific surrealism”. What made you choose this form rather than a journalistic approach? Each person on Manus and Nauru has an individual story – and each of these stories is a tragedy. You can not fully talk about that in general terms like we do in journalism. We are different people with different backgrounds, religions, cultures, and ages. Just imagine a man – a father – inside a prison like Manus. Imagine that sometimes he cries in the corner of the prison in the middle of the night. How can you describe his suffering, through the language of journalism? Of course, you can’t. Only literature and art is powerful enough to tell these stories. In the book you often describe „cages” rather than „centres”, „prisoners” rather than „refugees”, and thereby redefine how we describe the detention facility itself. Why was this process of renaming so important? For years and years the government called this place on Manus a „regional processing centre”. Some people were recognised as refugees four or five years ago. What kind of „processing” centre is it when you keep people here for six years? Instead, I call it a prison. I even think prison is not a strong enough word. I’ve tried to create a new terminology. „Systematic torture“ is another key term in the book. It is important that we don’t follow the „official” language because the government can hide behind these concepts and words. Often the media conform to this official language and reproduce it. Where do you think the media has failed in covering what is happening on Manus? In journalism each story has two sides – or many sides. But in my view as a human, writer, and artist, these policies and what is happening on Manus and Nauru only has one side. The government shouldn’t have the right to justify these crimes against humanity. For example when we were attacked in the 2014 riots and Reza Barati was killed and 100 other people were injured. Or when Papua-New Guinean soldiers attacked us in 2017, or when my friend Hamid Kehazaei died because of a small infection. In these cases journalists gave the Australian government the opportunity to appear in the media and justify its crimes. Rather than giving that opportunity to refugees and our supporters to tell their stories. Is this really the media’s fault? For decades the subject of refugees has traditionally belonged to journalists and human rights organisations. The aim is often to produce compassion towards refugees, but this isn’t a good approach. Putting refugees in front of the camera to cry and then hoping to get support is not going to change any policies. And there is some power involved in this practice, in destroying people and then showing everyone how weak they are. You wrote No Friend But The Mountains in Farsi, not your Kurdish mother tongue, and then had it translated into English. Do you see this as giving it more power to challenge and resist the system it depicts? Of course, that is why I always publish my work in english. I don’t need to publish my work in Farsi or Kurdish. Our problem is with a country like Australia and western countries, so it is an issue for them not for the people in the middle east. You articulate in your book a nuanced definition of violence. Not only physical, but the violence of being deprived of hope, left in a legal limbo, or having every aspect of your life regulated. Can you explain the importance of this in understanding the reality on Manus island? Violence is both physical and mental. Through the detention system the Australian government is producing and spreading violence. For example, when I describe someone cutting themselves or trying to kill themselves in Manus, that affects everyone. It traumatises all the prisoners. And this person is doing a violent act that this system is producing: when you put people in this situation, you force them to do this. Just imagine putting children inside cages. This is the deepest violence in the world. And I believe that the Australian government is not only torturing the refugees but also many people in Australian society. They are tired of witnessing this kind of violence. You employ two theoretical concepts – the Kyriarchal System and the Manus Prison Theory – to help identify the systems of power and ideology supporting the existence of a place like that on Manus. Why were these important to weave into the novel? They allows us to understand Manus prison not only as an individual place, but as significant beyond the island. It helps us to find some similarities between the Manus prison and other structures in western society, such as education systems, hospitals, schools, universities and the military. People in these types of societies are not free in so many ways, and we can see people become like machines day by day. Manus detention centre officially closed at the end of 2017. What has the situation for you and the other refugees on the island been like since? Many people say that the Manus prison closed. Yes, they closed that particular place and then relocated us to a different camp. But what is important is that the system still has control of our lives. This means we don’t have the right to move freely, to see our families, to start a job, to go to university. We don’t have any opportunities. So that is why this place is still a prison for us. You often compare the situation to torture? Torture is not only when someone physically beats you. Torture is when you don’t have control of your life, you don’t have a future. So although we have some kind of freedom now in moving around the island actually our situation is getting worse because we have been here for 6 years now. That is enough to destroy anyone. We have many people here who have not seen their children for six years. No Friend But The Mountains has been described as a „decolonial intervention” by critics. How do you understand the link between hardline immigration policies and colonialism? What is happening is obviously linked to colonialism. Australia forced us to stay on Manus and Nauru. So Australia just said to Papua-New Guinea we want to use your land as a place for exile. This means that your place, your land, your country, is not a suitable place for people to live. The local people are very angry at this policy but the Australian government is still using this place for its political benefits. So Australia creates this idea that these places are dangerous and uncivilised. But in fact if Australia was a civilised country it wouldn’t do this. Increasingly hardline immigration policies can be seen across the world – including in the US. What role do you see them having in the identity of Western countries? You know it is not the first time that Western countries are doing these kind of things, these kind of crimes. If you read the history of western countries, many horrible things have happened over the past 100 years, in the second and first world war. I think it is a part of the mentality of Western culture. But the interesting thing is that most Western countries will apologise years later for what they have done. But in Australia they haven’t apologised. You said that if the Australian people really understood what was happening then they would change their policies. Isn’t information fairly easy to find today? They don’t want to know. And if they know, they don’t want to accept it. Because when you accept that your government is doing this, you will feel pain. But if they want to know, they should read my book, watch my movies, read my articles. I have been writing and publishing over the past six years in Manus. I have published hundreds of articles. Or they should just google it. Do you think it has become normalised? Yes of course. It is a part of Australian history. It is not the first time they keep children in prison for years. This country is established on colonialism and these types of crimes. Do you think the immigration issue will be important in the upcoming Australian election? I don’t know. There have been elections over past six years and nothing has happened. However there is systematic censorship in Australia, they don’t talk about us. But it should be a big political issue in Australia. Hopefully something will change this time. How did it feel in February to be awarded the most prestigious literary award, by a country that denies you entry and has kept you in Manus for the last six years? I think it is a victory. Firstly for the refugees in Manus and around the world. Secondly it is a victory for the literature community because this book proved that literature is not just a hobby. It is a strong language you can use to challenge power structures. Above all of this, it is a big victory for humanity because they have kept us here for years, dehumanised us, denied our humanity and reduced us to numbers. This book proved that you can’t do this.